Located equidistance between Lake Ray Roberts and Lewisville Lake, Aubrey sits in the heart of “Horse Country, USA,” while remaining close enough to the water to enjoy water sports during the hot, Texas summers. The city of Aubrey has maintained its original downtown structures, and a stroll through this quaint square makes one feel as if they have just stepped off the ranch; and there is a good chance of that, as the city is surrounded by horse ranches. Aubrey strives to maintain this small-town feel and operates its own school district, Aubrey ISD, which is “Academically Recognized” by the Texas Education Agency. The district also just opened a new intermediate school in 2005 and a new elementary school in 2008. Located on Highway 380 between Denton and McKinney, Providence Village enjoys easy access to I-35 E, Dallas North Tollway, and Highway 75. Providence Village began as a master-planned community in 2000, and since its inception has had time to establish roots and even be incorporated into a municipality, but still boasts plenty of room for growth. 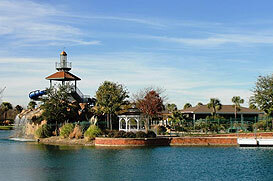 Since Providence Village began as a planned community, residents of the town still enjoy these amenities. Such perks include: two dog parks, greenbelts, a clubhouse, a water park, and even a 25-acre lake. The styles of the houses built in the community are Cape Cod and Craftsman in which an array of colors are beautifully incorporated. Though school districts include both Denton ISD and Aubrey ISD, Providence Elementary School is conveniently and safely located in the community. Savannah is another master-planned community on Highway 380. While Savannah is farther east than Providence Village, it still shares the same easy access to major highways. Savannah’s layout and design emulates the beautiful, historic district of Savannah, Georgia. Savannah’s values are based on family and community, and they strive to provide an environment that encourages family activities and community involvement. This is done by not only providing an array of activities such as parks, a lake, a water park, and trails, but also by creating a safe atmosphere for their residents. All students attend Denton ISD, and within the community both an elementary and middle school.